One course lasts six weeks. Each lesson lasts 60 minutes. You can always learn from the beginning of a new wave from our website. Day and the exact hour of your course can be seen in the Schedule section. Courses are held at Tehelná 26 on the first floor of the policlinic in the dance halls of the Tanec v meste studio (Dance in the City). The studio has its own entrance, accessible from the terrace. Map and contact information can be found in the Contact section. The more you dance, the less you pay! If you register to more courses you will get a sale. For the first course the price is 38€, for the second 30€, for third 22€ and all others are free! You can sign up for our courses online, directly on our website in the Registration section. If you register as a couple, it is still necessary that each person registers individually. After submitting the application form, you will receive a confirmation e-mail with all necessary information. Please, when paying, be sure to fill in the variable symbol linked to your dance. You can find the variable symbol in the received confirmation e-mail after submitting the application form. The payment must be credited to our account no later than the opening day of the course. Otherwise, unfortunately, the application is not valid. We do not refund money if you do not attend the course. If you cannot attend some class or the whole course, you can take that given class or course some other time. The whole course can be taken in the next wave. A specific class can be taken upon agreement with the teacher. There is no condition to have a partner for the couple dances. 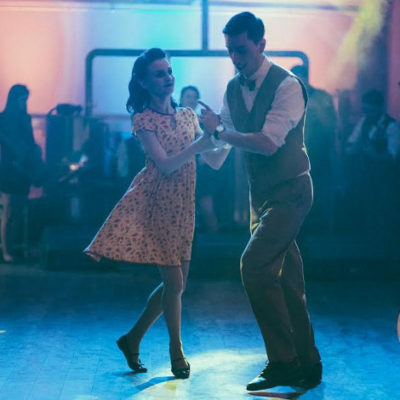 Swing dances are among the “social dances”, meaning that dance partners will be changed during the class, so that everybody can and is able to dance with anybody.